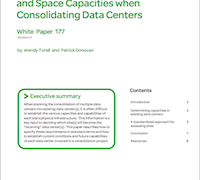 When preparing for a data center consolidation project, there are steps that need to be taken in order to make good judgments about how much can be consolidated and which sites make the most sense for becoming receiving data centers. 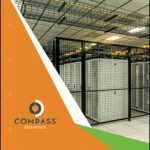 Just as IT assets, network bandwidth, compute power, and the level of virtualization are determined as part of the consolidation analysis, it is also critical to have an accurate understanding of each site’s physical infrastructure capabilities. This paper specifically addresses facility power, cooling, and the physical space.